Prevent Blindness has declared June as Cataract Awareness Month to educate the public on cataract, risk factors, symptoms and treatment options, including surgery. 'The best way to protect vision is to get a complete, dilated eye exam from an eye care professional and work with him or her on the best treatment options for you,' said Hugh R. Parry, president and CEO of Prevent Blindness. Cataract is the leading cause of blindness in the world, according to the World Health Organization. And, according to the Prevent Blindness' “Future of Vision: Forecasting the Prevalence and Costs of Vision Problems,” the current number of those in the United States with cataract will increase from more than 25.7 million, to 38.5 million by 2032, and then to 45.6 million by the year 2050. Cataract is a clouding of the eye’s lens which blocks or changes the passage of light into the eye. Prevent Blindness has declared June as Cataract Awareness Month to educate the public on risk factors, symptoms and treatment options, including surgery. Free information is provided through its dedicated web page at preventblindness.org/cataract, or via phone at (800) 331-2020. For those interested in conducting discussions or seminars on the subject, Prevent Blindness offers a free online course on cataract (as part of the “Adult Eye Disorders” module) including a PowerPoint presentation with a complete guide as part of its Healthy Eyes Educational Series. 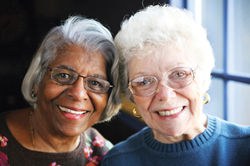 Unlike many eye diseases, however, vision loss due to cataract can be restored. Cataract surgery is one of the most commonly performed procedures in the United States. According to the National Eye Institute, in approximately 90 percent of cases, people who have cataract surgery have improved vision afterward. Most cataract surgery is usually covered by Medicare and health insurance. For information on insurance benefits, including Medicare coverage, visit http://www.preventblindness.org/health-insurance-and-your-eyes.